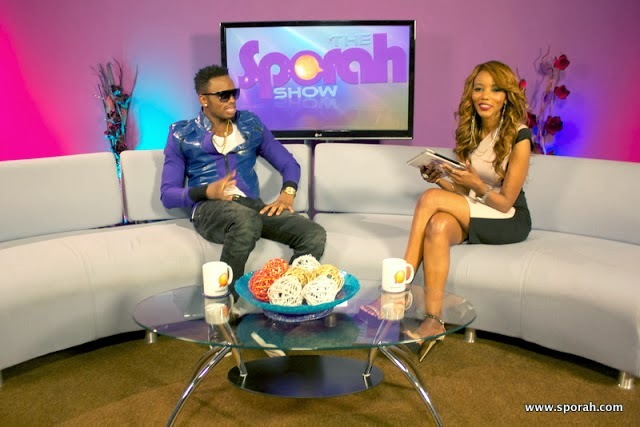 THIS WEEK THE SPORAH SHOW IS UNLEASHING THE TOP TEN SHOWS OF 2013. The Count Down With Us..
We talked about albino witchcraft murders and the backdrop of an escalation in brutal murders of people with albinism in east africa (Tanzania). Josephat has dedicated his life to campaigning against the discrimination of his people, confronting communities who may be hiding the murderers. The Tanzania albino campaigner, Josephat Torner told us about his child hood in Tanzania, people used to run away from him and call him GHOST, his step mother wanted to poison him, he never had friends or good education because of his condition and had to leave it all after his mother's death because she was his only best friend. Such a heart breaking story with more sympathy than pity to see the side effect of the lack of education and knowledge in the African community. 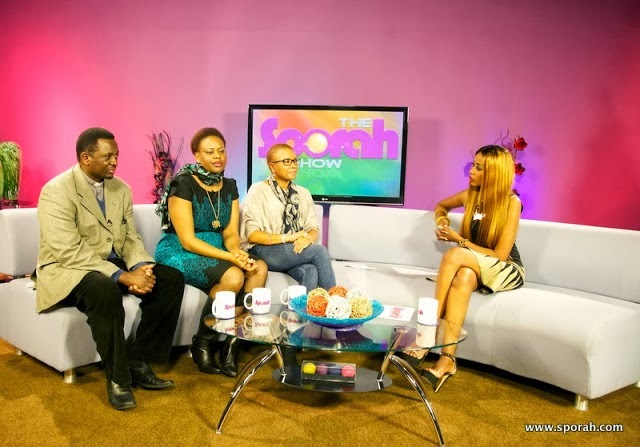 "It really takes a lot of courage for a woman to stand up and say she's got HIV or living with HIV" and on The Sporah Show we had fantastic, fabulous, beautiful African women to share their stories with us. 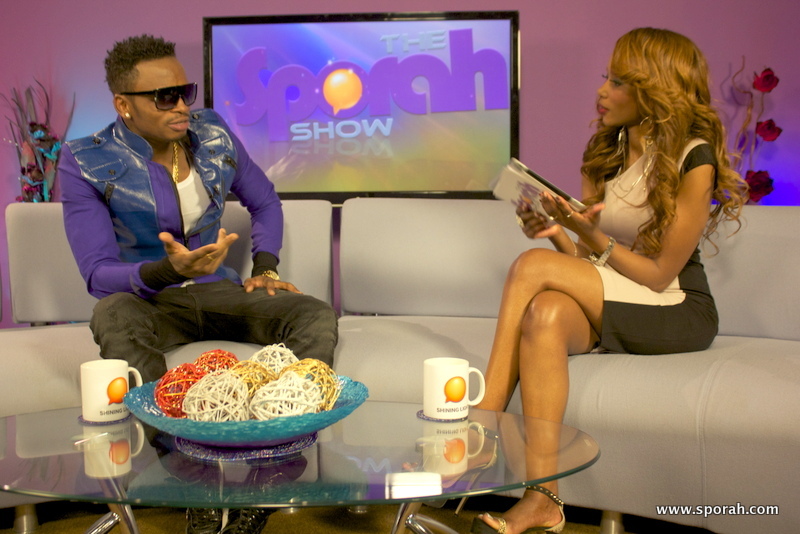 We are privileged to have one of the biggest Tanzanian Artist if not East Africa, "DIAMOND PLATNUMZ". It was a moment that resonated to my core,! I Asked DIAMOND All The Questions I Always Wanted To Know. Diamond and the Crew(Wasafi) are so fun to be around. also he is someone who is like EXTREMELY proud ... Just an all-around, good, down-to-earth, beautiful person. Humbled And Honored To Talk To Justus Esiri, Nollywood Legendary Actor. Declared one of the strong men of the African film industry, Justus Esiri has indeed earned his fame. He attended Urohobo College and later went to Germany to study engineering where he developed an interest for theater. Thus he began his acting career on stage in Germany. He was the only Nigerian male performing on stage in the years 1968/69. The popular Nigerian actor Justus Esiri died in the late hours of the 19th of February 2013. Chief Esiri, born on the 6th November 1942 hailed from OriaAbraka, Delta State. He was a strong believer in family values, and a great supporter of Nollywood. May his soul rest in peace. May The Almighty God Grant Him Eternal Rest. All Ur Fans Will Miss U Rip. Mr Blue and his ex girlfriend Naj.! plus Sultan King from Zanzibar..! all on one set. A touching story from Edouard Gheur (A.K.A) Papa Spyk, who was in films such as American Ninja, Tropical Heat and Red Scorpion has charted his experiences in his book A Naughty Thing called life. "I was born in Belgium on the 28th of June 1963 and grew up in Belgium, South Africa, Canada, Florida, Chile and am now living in Hastings, England." I played professional rugby I in South Africa for most of my life and after retiring was offered a lucrative modelling contract to model all over the world. I also acted and did stunt work on a few films over the next ten years. I then moved to Santiago Chile, as I got the lead role in a TV series being shot there. I signed up with the top modelling agency and started modelling in South America and here I met the lead actress, fell in love and got married. Kansiime Anne is a BEFFTA Award winning best comedian Kansiime Anne Ojok from Kampala Uganda. She almost break our ribs with laughters. 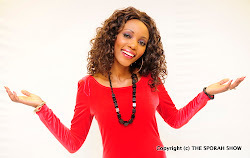 She is in deed the Queen of Comedy. This is the most heartbreaking story, Sporah was been moved to tears through out the interview. 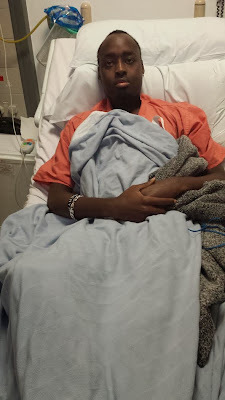 It is a story about Kelvin, a 24 years old from Kenya who is in the hospital present suffering from Leukaemia. AN ‘URGENT’ APPEAL TO SAVE 24 YEAR OLD KEVIN’S LIFE! FROM KENYA. Kevin's MOTHER is deeply concerned the East African Community will not support a campaign by Kevin Kararwa to sign up new potential donors. Historically very few East Africans have signed up to become potential donors; they either don't know, are fearful or have been misinformed about how simple it is to donate bone marrow cells. Kevin Kararwa, a 24 year old Business Systems student, studied at University of Portsmouth for 4 years and lives in Morden South London. In March 2012 Kevin started having a cold and flu like symptoms that was not healing. It lingered for 3 weeks. 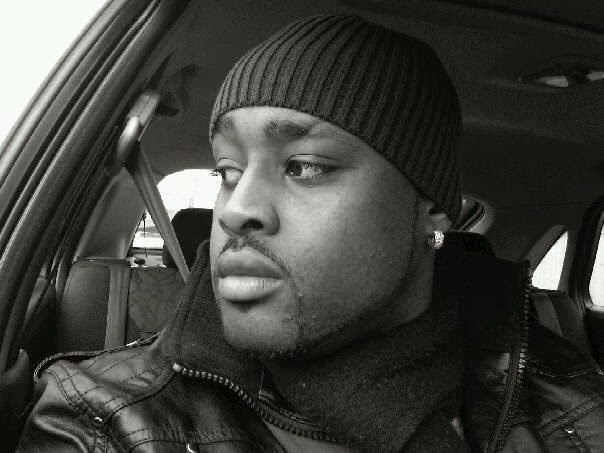 At the time Kevin was a student at the University of Portsmouth studying a 4 year degree in Business Systems and also working part time at Carphone Warehouse in Portsmouth. David grew up eating white maize. When he came to Britain in the early 1990's David was surprised to know that white maize was not grown or even known about. He missed eating white maize so much that he thought of growing the crop himself. David then started carrying out trials, growing white maize. After six years, David was confident he could grow white maize commercially in Britain. From such simple beginnings, helped by his wife Brenda and their three children Jonathan, Ruth and Miriam, the family now successfully grows white maize on a farm just outside London. As from 2007 David came up with another new product in the UK. That is White Sweetcorn. White sweetcorn is so popular as an alternative to yellow sweetcorn. Children love it and would advise you to put it on your list of 5 a Day health eating For that reason it quickly found its way into shelves of chain store like Sainsbury’s and UK top stores like Harrods and Selfridges. Stephen Kiprotich, (born 27 February 1989) is a Ugandan long-distance runner, born in Kapchorwa District. He is the 2012 Olympic champion in the marathon, with a winning time of 2:08:01 in hot, sunny, and humid conditions. This was the first Olympic medal for Uganda since 1996, the first gold medal since 1972, and the first ever in the marathon. His winning of the Moscow IAAF championship marathon on 17 August 2013 has made him the reigning World and Olympic marathon champion. "My life has changed in several ways. Being invited to come and run in the London Marathon that's one of the things that's changed my life. 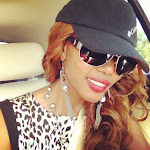 "I'm now a famous person in Uganda and UK and all over the world. I'm enjoying it," I want to use my new-found fame to improve facilities for young athletes at home. 1: Does wearing Makeup make you a likable factor. 2: Is it okay to Breast feed in Public. What do you think? lets us know we want to hear from you too.. 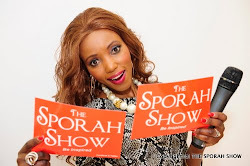 The Sporah Show - FaceBook, Twitter and Instagram.